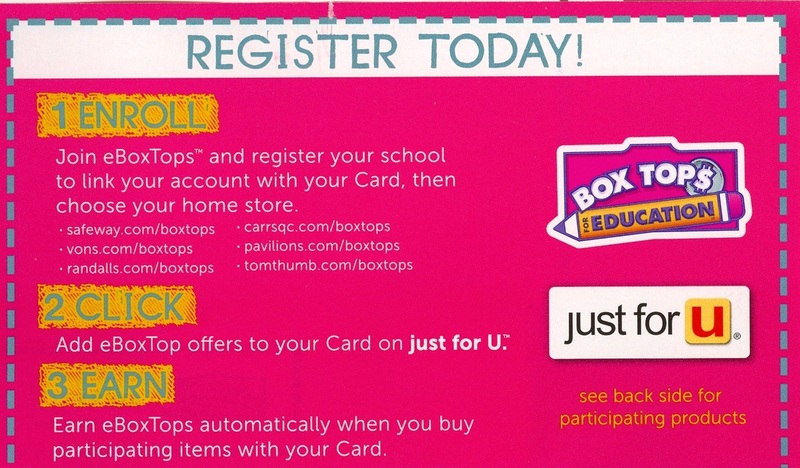 Safeway has a great program where EXTRA digital Box Tops are earned for Frank Love Elementary when you register your Safeway card and buy participating products. That's an extra Box Top for every one you clip, and you don't even have to think about it! For complete details go to this link at Safeway (or click the image below) and register your card today!